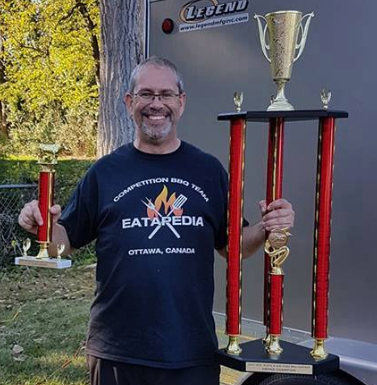 This BBQ Workshop is all about steak, taught by Ontario’s reigning Steak Cook-Off Champion! 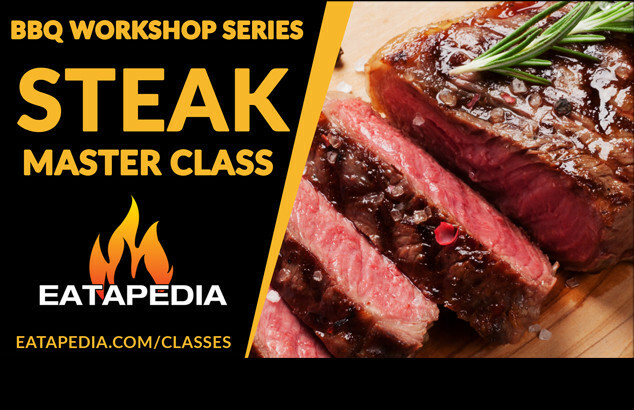 We will talk about the different grades of steak, as well as the different cuts, and why one would choose one cut over another. From selection, to prep, to cooking to plating, we will cover a lot of steak in 3 hours! We will cover current trends and traditional classics, in terms of cuts and cooking techniques. Recipes for our sauces, butters, marinades, rubs and seasonings are all included. You will eat well and walk away ready to up your own steak game at work, regardless of the cooker you use! Sous-Vide Grilled Rib Steak – Sous-vide cooking is a big trend right now. We will teach you how to marry the benefits of Sous-vide with all the flavours of charcoal cooking. Finish it off with a compound butter to seal the deal. Reverse Sear Tri-Tip Steak with Chimichurri Sauce – The Tri-Tip is a cross between a steak and a roast, and when cooked using the Reverse-Sear, it is an amazing, tender and juicy treat. 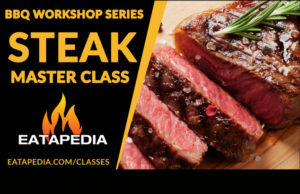 We will teach you how to perfectly reverse-sear this beautiful and flavourful cut. Thai Waterfall Beef (Nam Tok) – Flank steak, marinated with traditional Thai flavours like lime, cilantro, peppers and grilled over charcoal. A new way to enjoy a classic cut.